Trudy Goodman Kornfield is currently the senior Vipassana teacher in Los Angeles from the lay Theravada lineage of Spirit Rock Meditation Center in Woodacre, CA, The Barre Center for Buddhist Studies, and Insight Meditation Society in Barre, MA. Trudy is passionate about embracing both relational and transcendent perspectives so that the teachings encompass the fullness of our humanity. Trudy's teaching embraces both secular mindfulness and Buddhist practice. At InsightLA, everyone is invited to connect with their intuitive wisdom and rediscover the joy that's possible for the human heart. Trudy has trained and practiced in two fields: meditation and psychotherapy. She holds a masters degree from Harvard University and a PhD in Psychology. She had the privilege of studying developmental psychology with Jean Piaget, Lawrence Kohlberg, and Carol Gilligan. For 25 years in Cambridge, Trudy did mindfulness-based psychotherapy with children, teenagers, couples and individuals. Since 1974, Trudy has practiced Buddhist meditation with revered Asian and Western teachers in the Zen and Theravada traditions., including Zen Master Seung Sahn, Kobun Chino Otagawa Roshi and Maurine Stuart Roshi; Ven. Maha Ghosananda, Joseph Goldstein, Sharon Salzberg and others. She taught with Jon Kabat-Zinn in the founding days of the MBSR (Mindfulness-Based Stress Reduction) clinic at University of Massachusetts Medical School in Worcester. 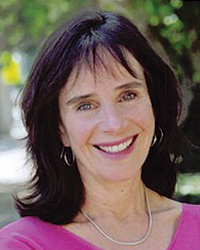 In Boston in 1995 she co-founded, and continues to serve as Guiding Teacher for the Institute for Meditation and Psychotherapy (www.meditationandpsychotherapy.org). In 2001 Trudy moved to California, founding InsightLA (www.insightla.org) and co-founding Growing Spirit, a Dharma family program, in 2004. Trudy is a contributing author: Compassion and Wisdom in Psychotherapy, (Guilford Press, 2011); Clinical Handbook of Mindfulness (Springer, 2008); Mindfulness and Psychotherapy, (Guilford Press, 2005).